My review of Fivefold’s EP, ‘Hold On,’ for The Forge. 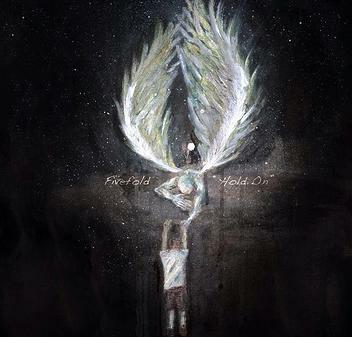 Veterans of the St. Louis underground, rock band Fivefold delivers a quality set on their 6-song EP, Hold On. The album reflects the maturity that you’d expect from band that’s been together for 7 years, slowly working its way into being one of the biggest local draws in its hometown. The songs are well written, and while the track ‘Step Back’ offers itself up as the most-likely radio single, every track on this EP is an attention getter. From the introspective ballads ‘Til Death’ and ‘Hold On’ to the energy-driven ‘Falling Into Circles’ and ‘Liars’ to the blunt and angry ‘Worst Mistake,’ Fivefold’s sound is consistent with much of what’s going on in modern rock, yet there is a gritty edge to it that suggests that if these guys wanted to get really heavy they could, and would be perfectly comfortable doing so. I wouldn’t be surprised if Fivefold ends up in the mainstream in the near future,and I’m already looking forward to hearing what they come up with next. If you’re into edgy rock that very carefully walks the line between the mainstream and underground sounds with intelligent, well-crafted lyrics and music, then Hold On by Fivefold is definitely an album you’ll want to check out. In addition to my poetic and fiction writing, as an on-air radio show host I sometimes review albums from underground rock and metal bands. Here’s a review I just did. 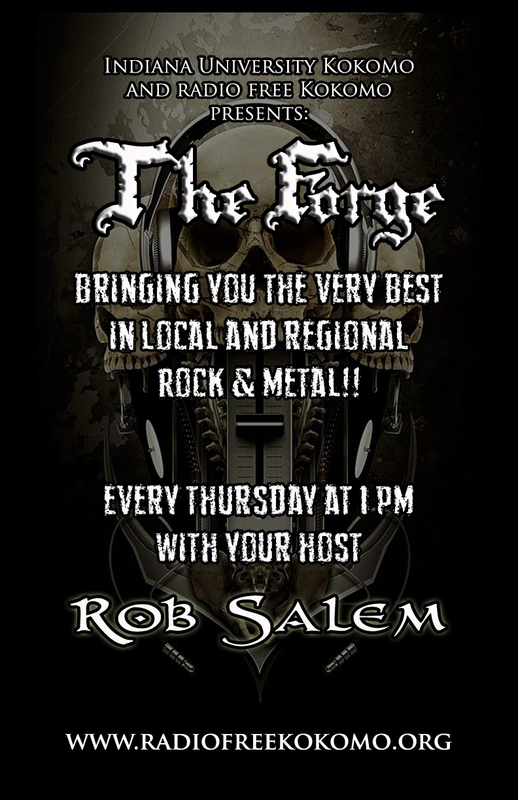 Be sure to check out my show, The Forge on Radio Free Kokomo. The Voice Of Reason is a solid album from start to finish. The production quality is great, making it easy to listen to, but also to hear everything that’s going on. These guys aren’t super-technical, and they’re not necessarily doing anything innovative with their sound, but that’s okay; they know their music, they know their sound, and they know what they’re good at. One of the things that they demonstrate is diversity in their sound while maintaining consistency. The songs range from thrashing shredders to down-tempo ballad-feeling tunes that succeed at evoking the introspective ear (‘Believe’). Dustin Strole gives his vocals a workout as he moves back and forth from melodic cleans to gut-wrenching roars, but he does it well; he obviously knows his range and sensibly works within it, while never sacrificing any of his power. The guitar work of James Donner and Dustin Chavez is tight, but I think only hints at what these guys are really capable of. Tracks like ‘Red Stained Plains’ evoke the riffing of Amon Amarth at times, while other tracks definitely pull from the New England metalcore sound; these guys obviously have talent, and I’d like to see them stretch their wings a little more by writing some riffs that push the boundaries of their comfort zones and really challenge themselves and each other. Jesse Curtis on bass and Jason Dinwiddie on drums lay down thunder as a tight-as-hell rhythm section that drives the rest of the band while maintaining an unshakeable foundation that gives the guitars and vocals the elevation they need to soar. All in all, The Voice Of Reason is an impressive first offering. The original demos that Catalytic released in 2013 were good in and of themselves, but hearing those tracks get that studio polish and go through some of the evolution that is expected of produced studio work demonstrates that these guys take their craft seriously and are always looking to improve upon and perfect things that are already considered good. The Voice Of Reason is going to stay in my personal rotation for a while to come, and I can guarantee you’ll be hearing it regularly on The Forge; I only hope that there’s a label somewhere smart enough to pick it up for distribution. 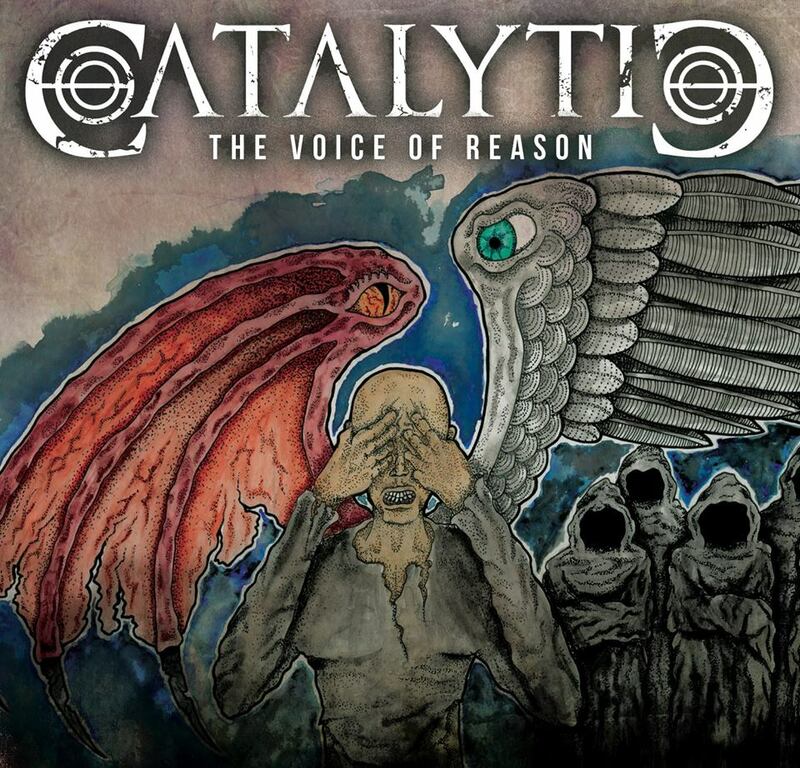 Catalytic is poised to help put the Indianapolis metal scene back on the map, and I’m proud to say that you heard it heard it first on The Forge.